We know that SEO is getting more complicated with the change in algorithms. It’s not just you, millions of other business owners are trying to solve the same puzzle; as every business wants to rank higher in Google search results. Google, on the other hand, keeps acting like a watchful protector and an optimization-ruiner at the same time. One moment you feel like your SEO efforts are in place and the other moment, Google launches Panda, Pigeon or Hummingbird. Nobody knows all the factors that are kept into account when a site gets crawled, but we all keep trying to make our guesses. When your ranking on Google search suffers a breakdown, what do you do? Where do you start? Which factors should you be concerned about? Let’s look at this checklist to correct some of the most basic errors you may be making in your optimization process. Is your site indexed on Google? First and foremost, you need to check if your website has been indexed by Google or not. That’s where the ranking process begins. Search engines like Google organize billions of websites into a library called ‘index’. Crawlers look at your website and determine the usage on the basis of many factors. Most of the time, indexing is not a big problem, because Google bots are always on a lookout for new websites. The problem arises when you are not on their radar. Search your website on Google to make sure it is indexed. Type site: yourwebsite.com without using the www and if your website and its pages come up, you are good to go. If you don’t find yourself there, Google doesn’t know about you yet. Tell Google about it or submit your sitemap to Google console if you wish to speed up this process. Are you creating great content? As I mentioned before, nobody has exact knowledge about Google’s algorithms, but we know one thing for sure: content is the king of the interwebs. Google will rank your website lower or higher based on the content of your website. There is so much information available online, so Google ranks only the best of it on the number one spot. Google attaches a lot of importance to the user experience. If you aren’t producing content which is of immense use to your target audience, what’s the purpose of your efforts? Cat videos are undeniably cute and entertaining for everyone, but you can’t post them on your surgical item’s website or startups blog just because it amasses more views. What are your competitors like? 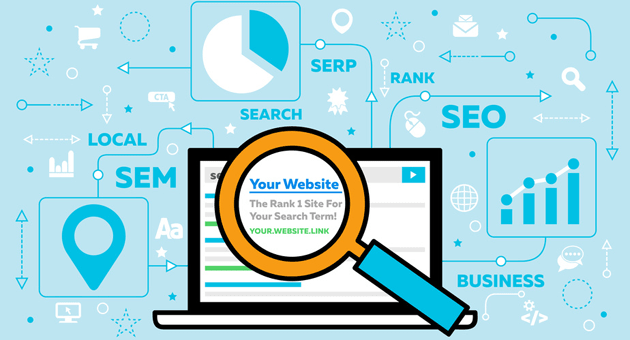 Have you checked the SEO efforts of your competitors? Is your site ranking low because your competitors are making relentless efforts to stay on top of the list? You can check your competitors easily. Just type in the keywords for your main products and see what comes on the top. Most results will be irrelevant but others may belong to your competitors’ who know what the keywords for your niche are. Hope is not lost because you can fight for the first spot with these competitors by categorizing your keywords and optimizing your site. If you still haven’t optimized your website for mobile, you must know that it is keeping your website from ranking higher. You can’t overlook this anymore. Mobile usage has overtaken desktop usage since most of the users like to scroll through a website via their tiny phone screens. Cloud computing has made it easier to provide responsive pages that load in a short amount of time. Your website must be ‘responsive’ on a mobile format. That means, when you open the website on an iPad or a Samsung phone, it should take the shape of that browser. If you don’t do that, Google will immediately categorize your site as having ‘bad user experience’ and your rankings will drop. Are your meta tags optimized? Search engines need metadata to find exactly what your site is all about. Each page on your website has its own metadata. These meta tags can be optimized to rank higher on Google. Do you lack quality backlinks? Do you have a strategy for backlinks on your website? If you aren’t paying attention to the backlinks, you are missing out on a lot. Backlinks are the links that link back to your website from another site. It’s confirmed that Google looks at these backlinks when checking the credibility of your website. Google will assess from these backlinks if the content on your site is liked by the users and should rank higher. Some website owners resort to unethical practices when achieving these backlinks, by linking to poor quality sites. That’s why Google steps in and checks the quality of backlinks you receive. A backlink from the New York Times is surely a big thumb up, while a backlink from a website with low domain authority and not many subscribers are deemed poor. However, that also doesn’t mean that you start bugging the New York Times for a backlink every month. You must achieve the backlinks through a natural process, via multiple quality websites. The best way to do this is by guest posting awesome content on other sites in exchange for a backlink. Are you set with local search? Not every business owner thinks about setting up a local search. It works in a simple way. When you search your business on Google, it should show your business name with local businesses. This requires a special kind of optimization called local visibility. The first thing you need to do is to create a Google My Business Listing. Fill all the relevant information in this list like your business address, phone number (local number), category and hours of work. You need to make sure that the name, address and phone number you provided must stay constant everywhere you are presented online. Google will double check directories across the web for your business info and if this information happens to be incorrect, you might not get Google’s listing. Since Google would not know who to trust, it’s less likely for your business to show up on local search.